50 Bottle Caps 10 Different Colors! 1" diameter inside and top of cap. Bottle Caps in this package are traditional, linerless caps with color on BOTH SIDES. **Color substitutions cannot be made when ordering sample packs. 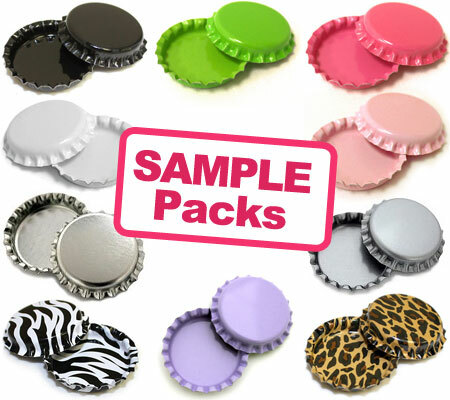 Our Sample Packs offer a low cost option for purchasing smaller quantities of bottle caps. Perfect for your next craft party, jewelry project and many more!